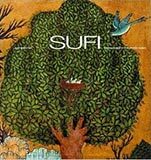 From 1973, as General Editor of her pioneering series "Art and Imagination", Jill Purce created over thirty beautifully illustrated books on Sacred Traditions, Art and Cosmology, published by Thames and Hudson, Seuil, Heibonsha. A selection are still available for purchase on their website. Explore a truly astonishing diversity of interests, philosophies, religions and cultures - from alchemy to angels, Buddhism to Hinduism, myth to magic. Originally large-format paperback volumes, from 2012 onwards some are being elegantly reformatted as pocket books. Click on the cover images or titles below to order from Amazon.